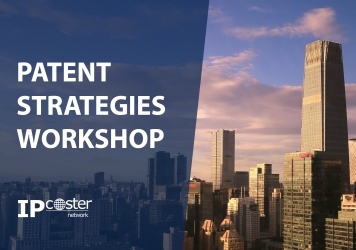 On April 5, 2019 the workshop on patent strategies was held by IP-Coster team in Beijing, China. The workshop was mainly devoted to the strategy of submitting third party observations and its importance in terms of competition existing on the technology market. The choice of the theme didn’t happen by accident. Patenting is a challenging process, and a good patent strategy may be the key to successful protection of a commercial product from its rivals. Preventing competitors from obtaining patent rights can be equally important to patenting your own inventions. Disrupting the prosecution of patent applications becomes easier with third-party observations (TPOs), which may be submitted for international and national applications alike. The purpose of TPOs is to provide an opportunity to inform the Patent Office of any existing state of art information that could be relevant to the assessment of novelty and inventiveness. For the applicant, a TPO can serve as an indication of patentability of the invention at an early stage of the patenting process. But for a competitor with a higher level of state of art knowledge and market experience, it is crucial to share the prior art with the Patent Office even if it did not occur to the patent examiner during the examination stage. The latest trend for the third parties is to file TPOs on PCT applications at the last minute, allowing prior art to remain unconsidered during international preliminary examination. This trend is a significant indication that third parties are not interested in alerting applicants of deficiencies in their application, but may be acting to obstruct PCT applications and make it impossible for the applicant to take action at the international stage. Further, if locating prior art is problematic for a particular patent office, it is practical for a third party to file the prior art once at the PCT international stage instead of with several national offices. Filing a last-minute observation turns out to be an excellent move for emphasizing the prior art for national patent offices, without any response from the applicant during international stage. However, the applicant in return can choose to deal with the cited prior art at the national stage, adapting to its evaluation by the patent offices. We at IP-Coster understand the needs of the patentees and work on developing individual strategies for submitting and overcoming TPOs at any time of PCT or national patenting process. Using a TPO strategy developed by our team offers many benefits for clearing the way of your rivals. A successful TPO strategy makes observations relevant not only to the application for which they are filed, but also taints other applications in the same family, or other families as well. Our team works as a back office to monitor, observe and prosecute whenever necessary. We aim to provide a cost-effective system for the applicant to become aware of the pertinent prior art and make wise decisions at any stage of the patenting process. For example, a timely TPO submission in one pending case may be a sufficient cause for a patentee to withdraw from filing another application. Furthermore, even if the time for submitting a TPO has expired, it is possible to bypass the limitations by filing observations in another related pending case, and that could put the patentee at risk of a potential inequitable conduct claim. In summary, TPO strategy can be a powerful medium to strengthen company position in the market. If done right, it essentially provides a cost-effective way to steer the patenting process in the necessary direction.